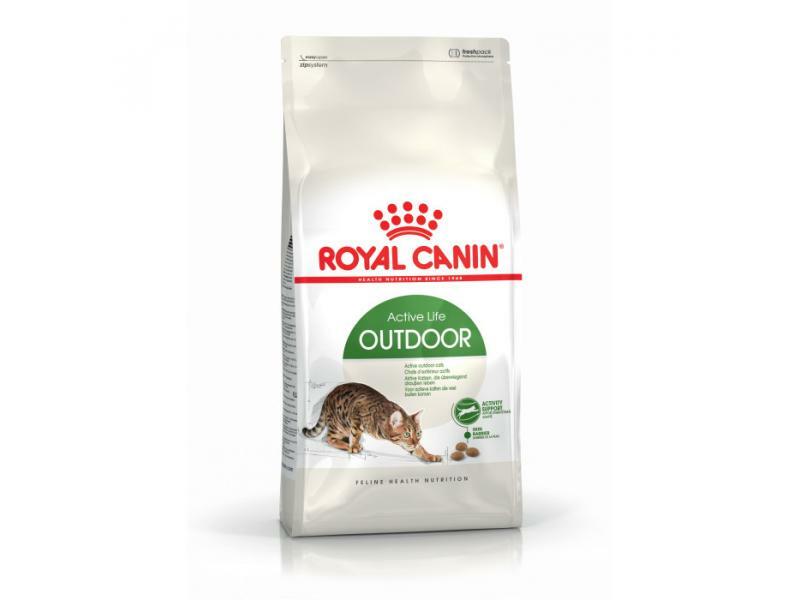 Royal Canin Feline Health Nutrition Active Life Outdoor Cat Food meets the energy requirements of outdoor cats, containing a specific combination of nutrients to support the skin barrier. Containing a combination of joint supporting nutrients, EPA and DHA for added benefits including prevention of bad health and weight management. Suitable for adult cats with outdoor access from 1 - 7 years. Dehydrated poultry protein, rice, maize, animal fats, wheat, hydrolysed animal proteins, vegetable protein isolate*, maize gluten, yeasts and parts thereof, beet pulp, fish oil, minerals, copra oil, soya oil, fructo-oligo-saccharides, hydrolysed yeast (source of manno-oligo-saccharides), borage oil, marigold extract (source of lutein), hydrolysed crustaceans (source of glucosamine), hydrolysed cartilage (source of chondroitin). There are currently no questions for Royal Canin Feline Health Nutrition Active Life Outdoor Cat Food - be the first to ask one!